Nathan Hughes is outside a restaurant next to his Museum District office that is about to become a new sushi restaurant from Akida owner Kevin Mak. Hughes brokered the deal, among many other local restaurant transactions. Business has never been better for Nathan Hughes, a commercial real estate agent who brokers many of the city's most prominent restaurant transactions. He's a partner at the newly renamed Bandazian & Hughes, a 40-year-old firm where he's worked since 2005. The lifelong Richmonder sees restaurants at their best, worst, and as they change hands. Lately there's been so much activity it's rare to have a week when he isn't revealing some kind of news. Among the recent deals brokered by the firm are El Tango, coming to Shockoe Bottom in the former Maximo's, MBargo in the former M Bistro at Rocketts Landing, Nora Taste of Lebanon in the former Riad on West Broad Street, Continental Divide in the Fan and 10 Italian Café in Carytown. Hughes is on the board of directors for the Richmond Association of Realtors and is on the commission of architectural review for the city of Richmond. Restaurant buyers are stepping up: "For a long time all anybody wanted was a failed restaurant that was really cheap, that they would put very little money into. Now they're willing to pay for a profitable business, keeping the existing format. They're looking for quality businesses, something they can run as-is and improve on, instead of scrapping everything that was there — although there's still some of that too." One of the downsides of selling a restaurant can be the smell: "Doing this, you get used to the smell of a closed restaurant. Even if it's not dirty, the residue, the old food, all the dirt from the years just adds up. Even worse, which happens a lot, is they'll get locked out and leave all the food in the restaurant, in the sink and on the tables. Some are pristine, but no matter how clean I think it is, whoever buys it always cleans it up. We've seen plenty where a tenant left and we are surprised that the Health Department let it stay open — that's the bad. But there are a lot of chefs and owners who take a lot of pride in their equipment and keep it up and cleaned, and with all of these open kitchens now, you can see them yourself." It's tactical to keep a for-sale business under wraps: "If they are trying to sell, make sure that person understands the confidential nature of that listing. Too often I've seen someone who is careless. As soon as you announce that you're selling, people start running — they tend to jump to the bad scenario. It sends the wrong message that they're not making any money, which is not necessarily the case, or changing their concept, so employees become more careless, and a lot of times theft goes up and customers are scared away." A price can get emotional: "If you're selling, don't get so stuck on the price that you're willing to walk away from it and get nothing. We've seen that too often when they're unrealistic on the price. The value is not the money that you put into it, it's what it's worth to someone walking in today. There may be improvements and equipment, but the real value is in the cash flow. Or on the low end, it's an asset sale, but it's worth more in place as an operating restaurant than by selling off the pieces." Perly's is an example of a big recent deal: "It seems like everybody had eaten in Perly's, it's such an institution, and Gray Wyatt is a great guy. It really meant a lot to be able to help him out of that situation, and it was quite a complicated process to get that one sold. But it meant a lot that it went to some really good restaurateurs, [Johnny Giavos and developer Scott Coleman], and for them to bring in [Kevin Roberts of] the Black Sheep — what they're talking about doing honors the legacy of Perly's and brings something fresh." 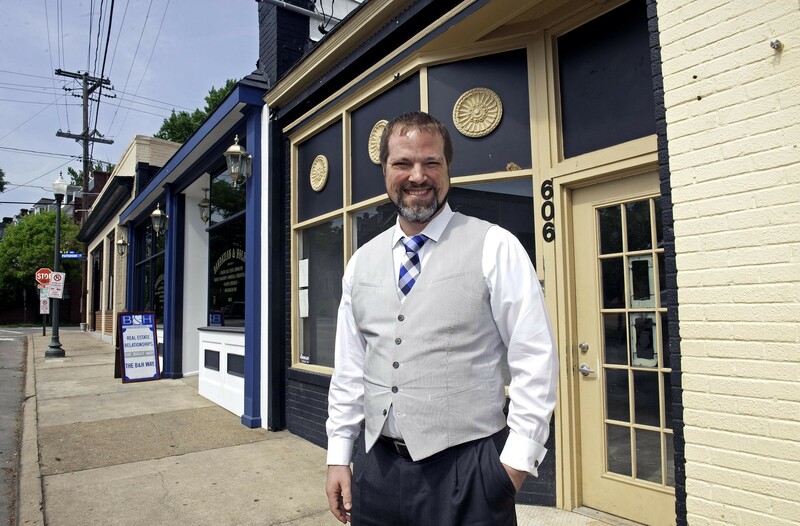 The #RVAdine community attracts investors from elsewhere: "I like all of the national attention that comes with the outsiders [such as Mike Isabella's Graffiato, opening here this summer]. I think the people who are coming here understand our Richmond dining culture, how we support one another, which I hear is unusual. I think of all the creativity and energy, all of the professionalism and pride, that's a big piece of it — all the RVA stickers everywhere —people are proud to be from here and are so excited about what is going on, about small businesses that start here and are growing." Vendor alert: Southern Season, the upscale specialty grocer coming to Libbie Mill this summer, is asking potential local-foods vendors who want to sell or demonstrate products or teach cooking classes to get in touch via nghitelman@southernseason.com. Soft season: Chef Dale Reitzer's touch with soft shell crabs gives Acacia extra reason to celebrate spring. Find the velvet delicacies procured from Ricky Walton of Urbanna on the menu at 2601 W. Cary St., 562-0138. acaciarestaurant.com. Chef addition: Amour Wine Bistro has reopened following a fire and added chef Bill Foster to the Rob Hamlin-led kitchen. 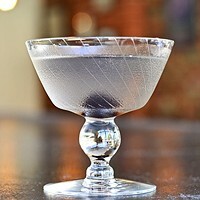 3129 W. Cary St. 353-4020. amourwinebistro.com. Nacho Mama's Bar & Grill on the Boulevard: Tex-Mex and American foods in sibling to the popular Carytown cafe. Poolside bar license pending. Open daily. 3207 N. Boulevard in the Clarion Hotel. 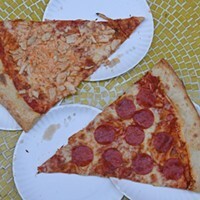 359-9441. nachomamasrva.com. The Broadberry: Live music venue with bar, patio, happy hour, burgers, fish tacos, veggie bowl, pub snacks, swanky scene. Open show nights only. 2729 W. Broad St. 353-1888. thebroadberry.com. Pelon's Baja Grill: Tacos, burritos and full menu of Mexi-Cali fare and spirits, breakfast to dinner Monday-Saturday. 2231 Dabney Road. 562-4187. pelonsbajagrill.com. Caribbean Seafood Jamaican Jerk House: Takeout shop for oxtail, curry goat, jerk chicken, fried fish, island sides. Lunch and dinner Monday-Saturday. 1203 Westover Hills Blvd. 291-1100. Lamplighter Roasting Co.: Third location of quality coffee shop with creative food, beer and wine. Dine in and outside. Daily 7 a.m.-7 p.m. 26 N. Morris St. lamplightercoffee.com. Chef MaMusu's African Caribbean Cuisine: Longtime chef Ida Daniels and team prepare vegetarian, meat and seafood dishes with traditional spices and techniques. Lunch and dinner Tuesday-Sunday. 3514 Forest Hill Ave. 912-2812. Saison Market: Select groceries and growlers, foods with flourish from chef Adam Hall, neighborhood hot spot adjoins busy gastropub in Jackson Ward, 8 a.m.-midnight. 23 W. Marshall St. saisonrva.com. Shyndigz: New location for dessert emporium with cake, pie, cobblers, wine and beer, coffees. Patio and in-house dining, busy spot for sugar fix. Wednesday-Saturday. 1903 W. Cary St. 938-3449. shyndigz.com. Foo Dog: Busy bar scene with Asian street food, noodle soups, seafood, snacks and spirits. Tuesday-Sunday from 4 p.m. Closed Monday. 1537 W. Main St. 342-1800. foodogrva.com.